The complex, ever-changing technology of the construction industry can make it hard for your potential clients to decide which company is right for them. Ebooks help solve that problem by letting you demonstrate your expertise in a way that guides your readers toward choosing your company. Build credibility – Because the typical ebook focuses on a single, narrow topic, it gives you a chance to include facts, data, and your own personal insight to show your potential clients you know what you’re talking about. You’ll also have space to highlight client success stories. If you specialize in renovating retail spaces, you might write an ebook that helps first-time specialty store owners understand ADA accessibility guidelines and the options your company can offer for meeting them. Reach a wider audience – Offering your ebook in exchange for an email address is a good way to bring in new leads, but it’s not the only way. 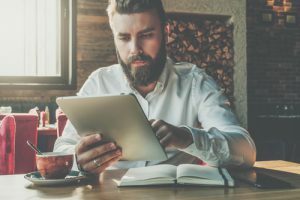 If your ebook solves a common problem or covers a current hot topic, chances are your prospects will pass it on to their friends and colleagues. You’ll reach potential clients who might never have known about you otherwise. To get even more eyes on your ebook, email complementary blogs and let them know you have something that could benefit their audience. Educate your prospects – When a would-be client isn’t sure exactly what they need, they’re liable to pass your company by even if you’re a perfect fit. They might know they need a new pediatrics center, but have no idea how to start working with a construction firm to plan one. With an ebook that helps potential clients in the early stages of planning, you set the foundation for a trusting relationship that will be hard for your competitors to match. Beyond just guiding prospects in the basics, your ebook can also show them how your company’s services are different and why that matters. If your pediatrics centers feature unusual, child-friendly architecture, your prospects should know. 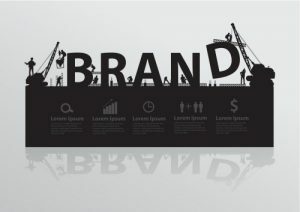 When you’re already knee-deep in the day-to-day business of managing a construction company, keeping up on marketing can feel like a burden. With an editorial calendar, you can simplify your marketing by creating valuable content that attracts clients to you without much additional demand on your time. 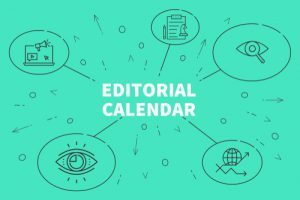 An editorial calendar acts as a framework for your entire marketing plan, giving you a bird’s eye view of exactly what you need to publish to meet your goals. If you’re looking for more clients interested in building educational facilities, you might decide to publish an in-depth case study of a facility your firm build. You can then use your calendar to plan out blog posts, videos, and social media posts that lead your audience toward downloading that case study. A calendar isn’t just for your blog, either. You can also tie in your paid advertising, such as newspaper ads and pay-per-click (PPC) campaigns. With all your marketing efforts streamlined towards a clear goal, you’ll no longer waste energy wondering what to do or creating content your target audience ignores. An editorial calendar helps you make more efficient use of the time you spend on marketing. Without a calendar, you could waste hours every month searching for ideas and still end up publishing second-rate content because you didn’t have time to conduct research and fully develop your thoughts. The extended overview a calendar provides makes it easier to produce content in batches. If you create a lead-generating case study about an elementary charter school your company built, you can draw on that material for the rest of that month’s planned content. By reusing the same information in different formats, such as blog posts, infographics, and social media posts, you’ll minimize the time you spend creating fresh content. 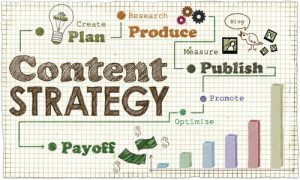 Better yet, planning well in advance let’s you break your content production into manageable chunks you can fit in around your existing schedule. 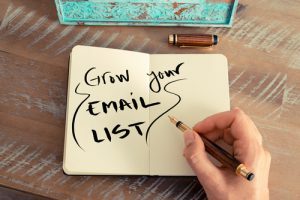 By using your off-season downtime to build your email list, you’ll have a group of warm leads at your fingertips when the construction season starts up again. The slow season is also a great opportunity to use list-building methods you might not otherwise have time for. During the off season, your ideal clients are likely to be planning their next project. To grab their interest, create lead magnet content that answers the questions they might have in the early stages of planning. If you do home renovations, you might offer your prospects guidance on how to budget or how to develop a realistic timeline. Free webinars let you target specific groups, such as luxury home owners or multi-family housing investors, and help you build rapport be letting your audience hear your voice and interact with you through live chat. 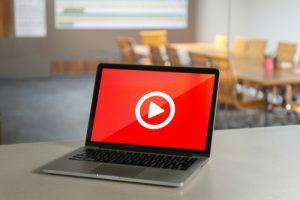 Because webinars carry a high perceived value, they also give your prospects solid motivation to join your email list for access. The main downside is that they take time to host and listen to. That’s why they’re perfect for the off season, when free time is more plentiful for both you and your potential clients. Having your writing published on the blog of a complementary business is a highly effective way to reach a new audience. For example, if you build warehouses, you might write something for an apparel retailer blog on the most useful warehouse features for clothing storage. Finding guest blogging opportunities and writing your posts, however, takes time you might not normally have. So when you have a little extra time during the off season, search online for terms such as “guest blogger” and “guest poster,” and when you find a blog that accepts guest posts, shoot them some ideas on topics you could cover for them. In your guest post bio, invite readers to your website to grab a related free download and join your email list. If you want to bring in new clients through social media, just showing up isn’t enough. Instead of occasionally posting photos of your finished construction projects, aim to connect with your target clients in a meaningful, personal way. 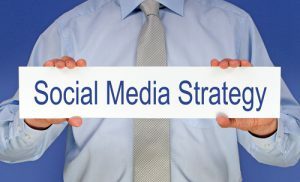 Use a natural voice – On social media, people want to connect with others on a personal level, not read announcements from faceless corporations. Stay away from formal, business-like writing and write as if you’re talking to a favorite client. Express your personality through appropriate humor, casual observations, and comments on what you’re doing that day. Share behind-the-scenes images – Candid photos of your staff at work or (with permission) your clients enjoying their new property let your followers get to know the people behind the logo. A photo of your builders taking a break on site shows your company’s human side, but also demonstrates your dedication. Post consistently – Your potential new clients have little reason to follow or interact with you if they never know when you’ll be around. Find a posting schedule that works for you and stick with it. Create an editorial calendar that lays out all your social media posts for a month or more ahead. This way, you’ll never miss a day because you couldn’t think of anything to post, but you’ll still have space for spontaneity. Help, don’t just sell – Posting things that truly benefit your audience will keep them coming back as well as build their trust in your expertise. Offer your own tips, advice, and insight. Share news, research, infographics, and other material they might find useful. If someone asks you a question, respond promptly. Build relationships – Focus on building real relationships with potential clients, not just increasing your follower count. You’ll benefit more from 100 followers who genuinely want to work with you than from 1,000 who just like pretty home renovation pictures. Start by commenting on posts instead of just “liking” them, asking your followers questions, and searching for questions you can answer.